Welcome to post number 99 on Everyday Linux User. I would like to thank everybody who has read and contributed to the blog since its inception in 2012. Now the headline is a real “Bazinga” of a headline. Everybody wants something for free so I know you are all waiting for the catch. All the magazines are Kindle versions of the magazine. In addition to this to be able to download the magazines you need to download the Appstore application onto an Android device. The good news is that the Appstore application is free and the magazines are free. If you have the Kindle Fire then you already have the Appstore installed. There are instructions how to install using other Android devices. Linux Format is the voice of the Linux and open source community. Its unique style brings you entertaining and essential news and reviews of the latest from Ubuntu, OpenSUSE, Red Hat and the leading distros. You’ll learn great programming tips in our Coding Academy, including Python and Android, and we show you how to get the best from technologies such as Gnome 3, KDE 4 and Unity. Whether you’re an IT professional, sysadmin or you just want to make computing fun again, Linux Format is for you. (Click here for more information about getting Linux User for free)I was lucky enough win a subscription to the digital version of this magazine and I really like it. The magazine was running a really good Python tutorial and there are regular features about the Raspberry PI. Linux User and Developer mixes good articles with good tutorials, reviews and product analysis. Published since 1994, Linux Journal is the original magazine of the global Linux community, delivering readers the advice and inspiration they need to get the most out of their Linux systems. In-depth information provides a full 360-degree look at featured topics relating to Linux, giving a comprehensive source of everything readers need for creating and completing their own projects–not just tools they will use today, but relevant and encompassing information they will turn to in future months and years. Every issue also includes: opinions; new product information; profiles of leaders making major contributions in Open Source; product reviews; business, social and technical news and developments in order to fulfil its mission as the central forum and advocate for the greater Linux community throughout the world. What if you don’t have a Kindle? Does that mean you shouldn’t get free magazines. No it doesn’t. The two I’m going to list now are my favourite Linux magazines anyway. They may not have the glossy publishing of the previously listed magazines but they are more personable and are made by people who do it for the love of it rather than for a salary. 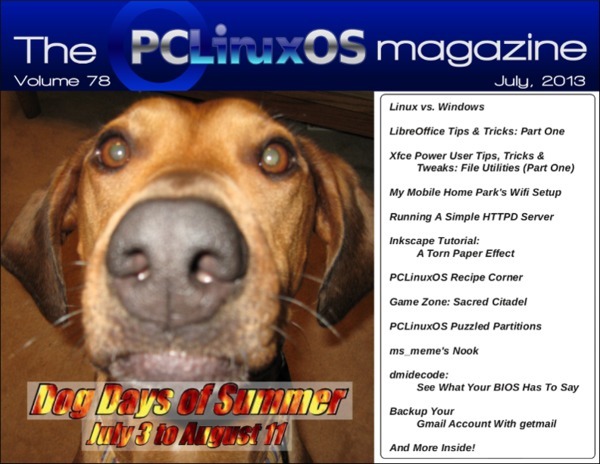 PCLinuxOS magazine is dedicated to the PCLinuxOS distribution but even if you don’t use this distro you will find some very handy reviews and tutorials about open source software packages in general. I don’t use PCLinuxOS but I have been reading this magazine for years. I also reviewed PCLinuxOS this year and I was very impressed. 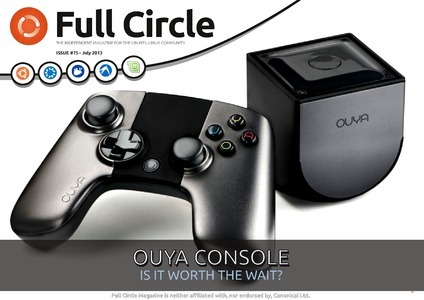 Full Circle magazine is to Ubuntu what PCLinuxOS magazine is to PCLinuxOS. For me it hasn’t quite got the same appeal as the PCLinuxOS magazine but I still read every issue. I hope you get something out of one of these links. If nothing else PCLinuxOS magazine and Full Circle magazine are worth reading and some of the free articles on the Zinio site are worth reading as well. I like Linux User and Developer magazine and recommend it personally. (Click the Zinio icon to see all the Linux magazines they produce).